Winner hit London back in September to film and photograph content for their EXIT MOVEMENT album. While here they embraced one of Britain’s subculture fashions, to show off their style. Winner have embraced their inner Punk for their latest comeback, and it is a style we love. Punk is a style you can adapt easily, and put together on a budget, so why not take a look at our guide to Punk subculture fashion with Winner. Capturing the punk spirit is really quite simple, because it’s non-comformist, and it’s the epitome of Do-It-Yourself. On the tightest of budgets a simple punk look might set you back no more than £26 in Primark. Though there are plenty of opportunities to expand on your punk look with the right accessories. The fashion of the punk subculture is currently in-trend across the high street stores. You’ll be able to take the suggestions in this edition of Get The Look and scour high street, or online, stores to find versions that suit your own personality and budget – that is after all the DIY punk spirit. A coat is almost a must for a punk look, and let’s face it, British weather almost always requires one anyway! Why not try out a leather jacket for the ultimate edgy look – though a Polyurethane faux-leather one can look just as impressive if you need a cheaper, or vegan friendly, alternative. Need something a little warmer? A Parka might be just what you’re looking for. Khaki green would be the most authentic of colour choices, but there’s plenty of opportunity to adapt the style with a different colour. 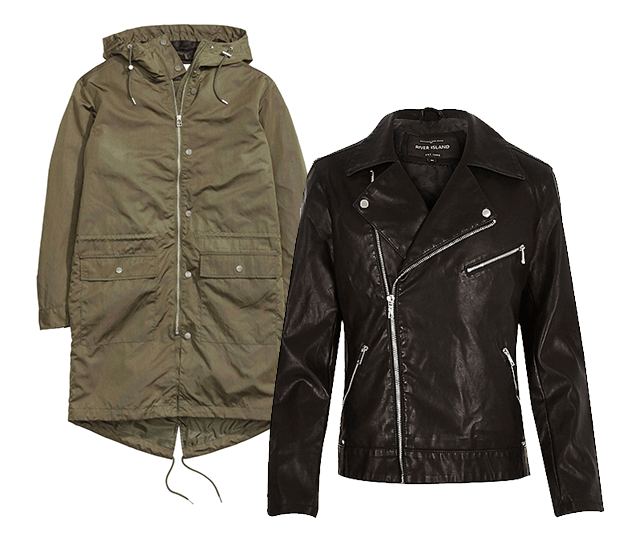 Pictured left are a Ladies Parka by H&M, available up to a size 20, for £49.99; and a River Island Mens leather-look biker jacket for £70. If you’re feeling particularly creative you could grab yourself some metal studs from your local craft store to personalise your leather! Converse and Vans are probably the more mainstream of the alternate shoe choices; though there are plenty of cheaper versions available in stores such as Primark. Though there are some brands that are synonymous with the subculture. Both Underground and Dr Marten’s have plenty of styles you’ll see on the feet of many a Punk. Underground have a great range of Vegan friendly shoes too! 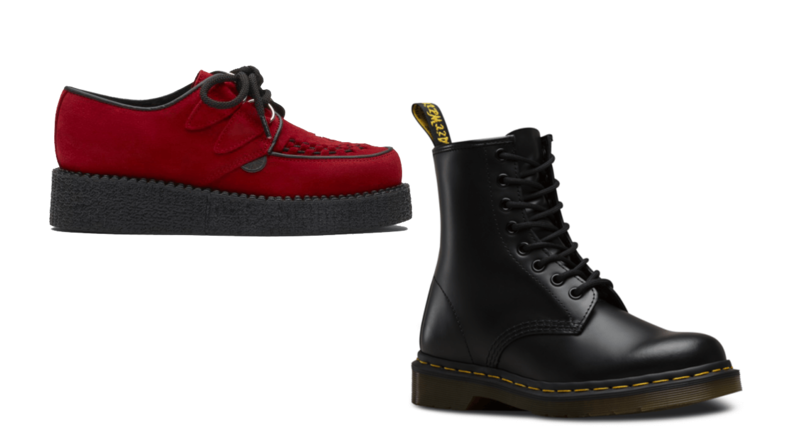 Pictured right are Underground’s Wulfrun Creepers Single Sole Red Suede, £110; and Doctor Marten’s 1460 Boots for £105. Though do look around for better prices as high street retailers such as Schuh often offer sale prices on both brands [My Wulfrun creepers only cost £35, and I scored a pair of 1460 boots for just £50!]. Punk isn’t about seeking approval for the way you look, so have fun with it and make it your own. The best thing you’ll probably have parents or family friends that are old enough to have seen the original punk revolution, even if they weren’t punks they’ll definitely be able to point out those items on the high street that are just like the ones from the seventies!